The ministries of SBFN are an extension of God’s work among us and through us. Through these ministries we’re seeking to fulfill our mission of Gathering, Preparing, and Sending Followers of Jesus, as we reach out to our community in Jesus’ name. 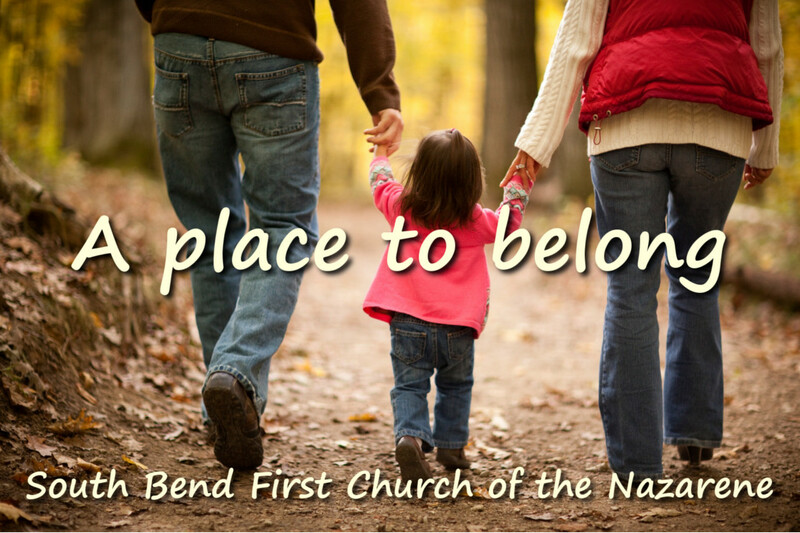 South Bend First Church is a fully organized church within the Nazarene denomination, the largest denomination in the classical Wesleyan-Holiness tradition. The doctrine that distinguishes the Church of the Nazarene and other Wesleyan denominations from most other Christian denominations is that of entire sanctification. Nazarenes believe that God calls Christians to a life of holy living that is marked by an act of God, cleansing the heart from original sin and filling the individual with love for God and humankind. This experience is marked by entire consecration of the believer to do God’s will and is followed by a life of seeking to serve God through service to others. Like salvation, entire sanctification is an act of God’s grace, not of works. Our pursuant service to God is an act of love whereby we show our appreciation for the grace that has been extended to us through the death and resurrection of Jesus Christ.